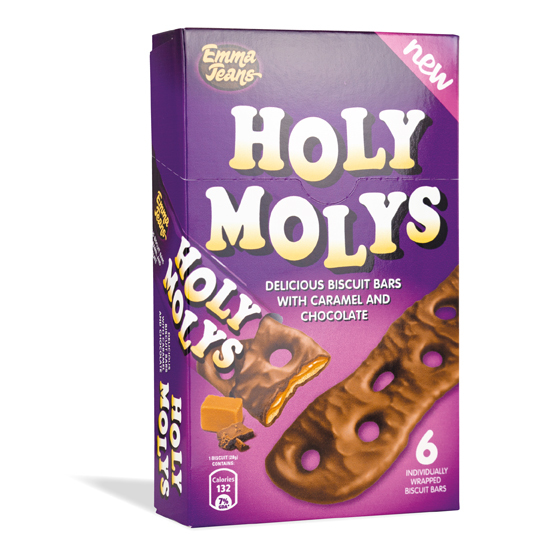 Holy Molys is a new chocolate biscuit bar product developed by Flanagans Direct – the Irish importers of Burtons biscuits. 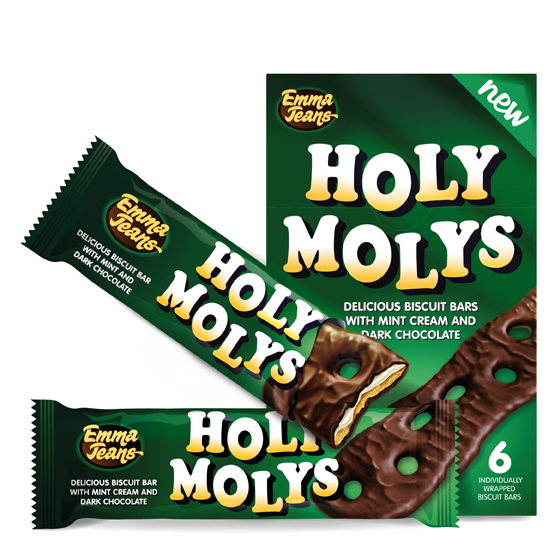 We’ve been working with Flanagans for a number of years creating promotional materials for such well-known brands as Maryland and Jammie Dodgers. We were delighted to have the opportunity to develop a new product with them from the ground up. 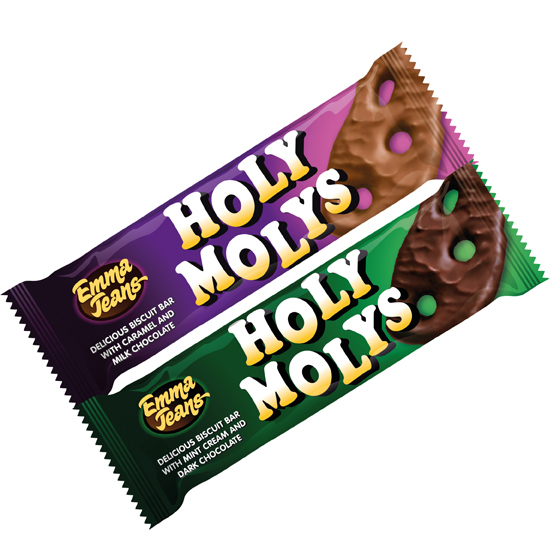 The Holy Moly’s name is our proudest contribution to this project. The original product was since been joined by a mint variant and there’s more variants to follow. 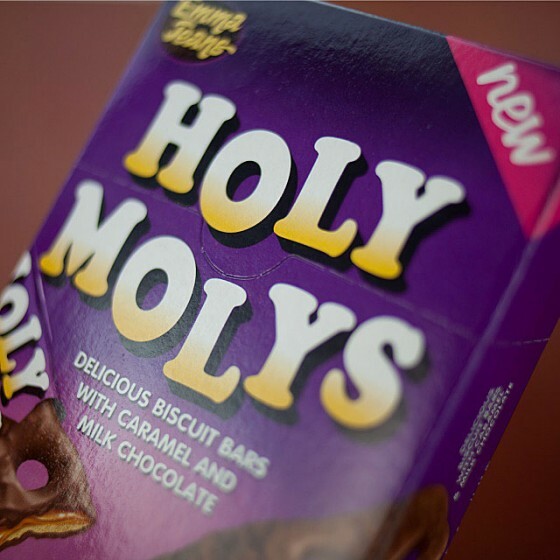 We look forward to seeing the Holy Molys brand grow.